Mama Tried 2016: esthetic artistry or esoteric indulgence | Hupy and Abraham, S.C. 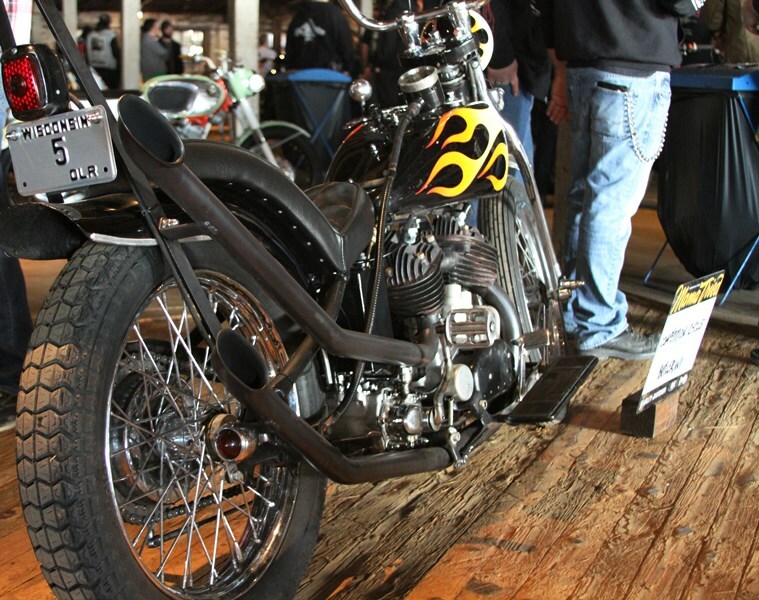 The classic custom bike show with the latest stylings, paint techniques and innovative designs may be becoming cliché, at least among a new generation of bike builders and enthusiasts. It’s refreshing to see members of the millennial generation, and some baby boomers, rejuvenating classic iron from manufacturers like Harley-Davidson, Triumph, Honda and a host of other brands. 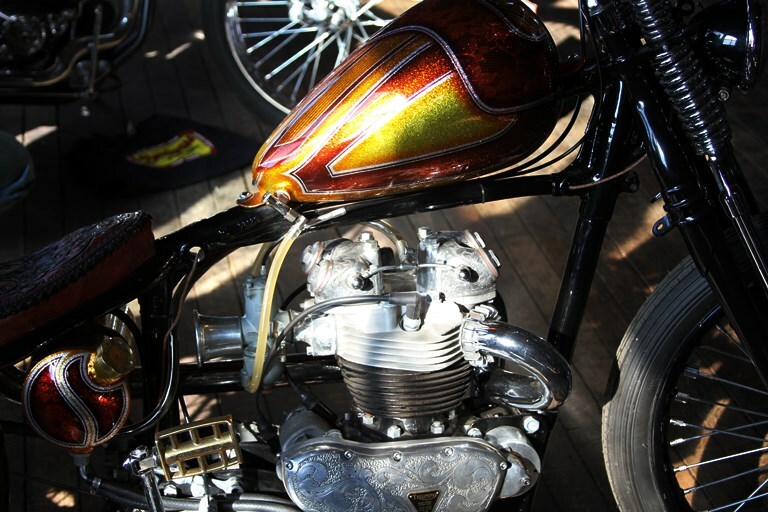 Instead of trying to win appeal for their builds through the use of artistic murals or creative pinstriping, this new breed of builder is satisfied with the raw vintage appeal of bare metal, patina-saturated hues and handmade accessory enhancements that impart their vision or personality. The well-tested custom bike show isn’t going anywhere, but it has a new sassy little sister who is impertinent and idealistic. 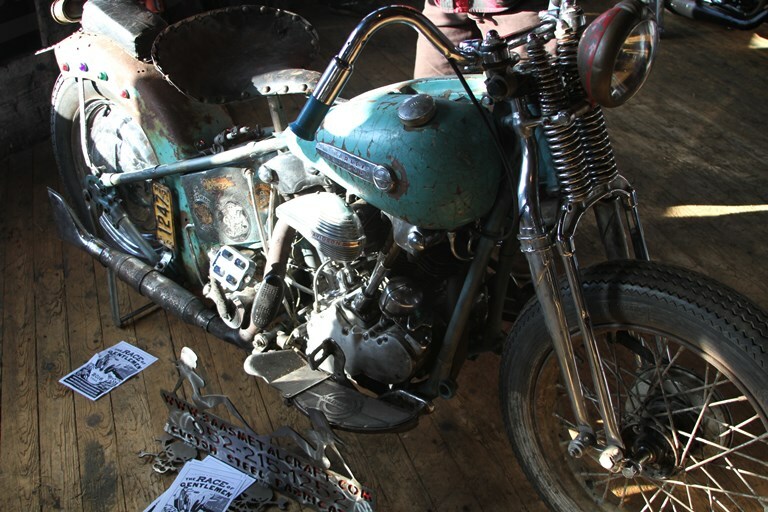 New to this evolving genre of motorcycle build is the Mama Tried Bike Show. 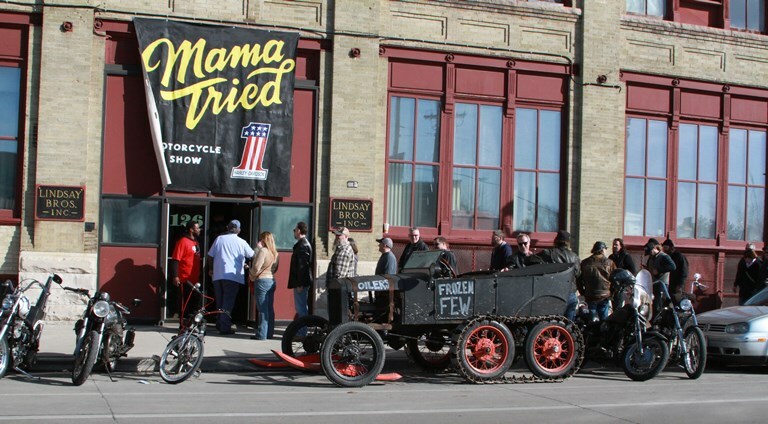 The maiden voyage of the Mama Tried show was held in Milwaukee in 2015 and was an astounding success. The show organizers knew they were joining a successful movement that is growing in popularity nationwide. 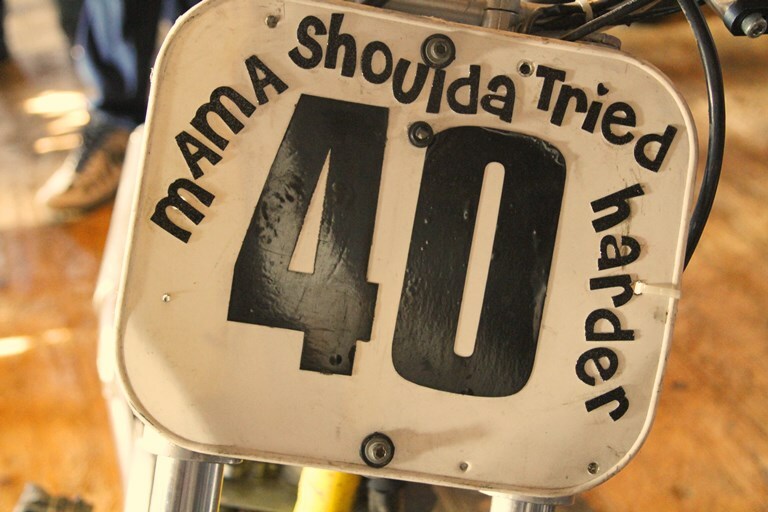 Adding to the success of last year’s show, Mama Tried added indoor flat track racing, billed as Mama Tried Flat Out Friday, in 2016. Thousands of spectators filled the arena for an adrenaline rush that prepared them for sensory overload at the bike show on Saturday, February 20. 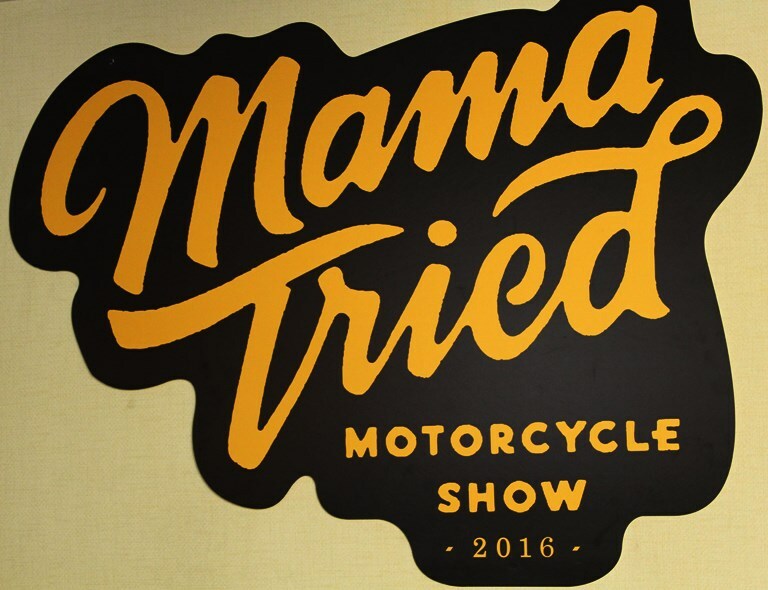 This is an invitation-only bike show, meaning the motorcycles are individually selected and invited to the show by the organizers of Mama Tried. This makes for a very select field of the best of the best in this new style of bike building. Mama Tried states the reason for the show is, “To connect motorcycles, builders, fans and riders in the heartland, and beyond.” Judging from the record turnout, it looks like they accomplished their goals again this year. 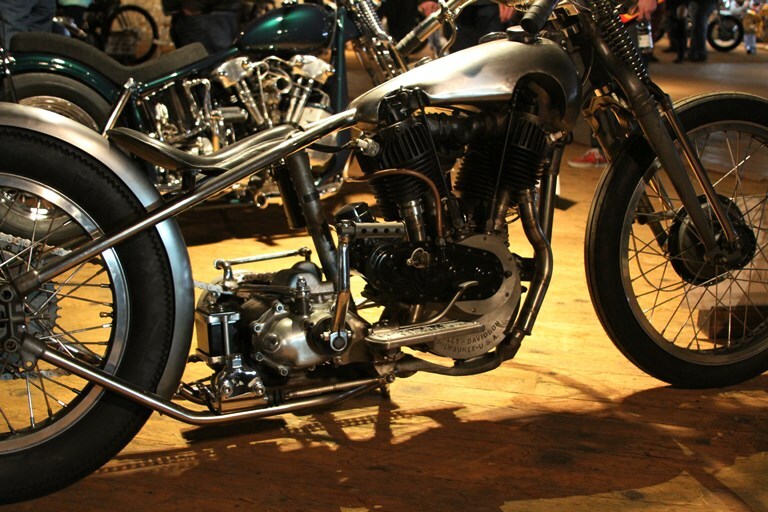 With dozens of builder’s bikes accepted to the show, including names like Aki Sakamoto, Bill Rodencal, Brian Jessop, Keino Sasaki, Kevin “Teach” Baas, Matt McManus, Dave Cook and Roland Sands, how could this show not be a hit? The real charm of this show, besides the motorcycles, is the eclectic collection of diversity and the aesthetic charm of a wooden-floored old warehouse with reserved lighting fixtures, which added to the ambiance of the exhibition. As in the song Mama Tried, made famous by Merle Haggard, mama failed to rehabilitate the spirit of these rebel builders. The general public thoroughly enjoyed the experience, and those with a keener sense of the motorcycle culture knew they were a part of something special.